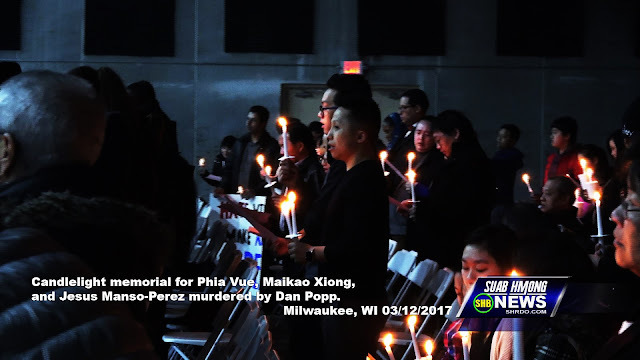 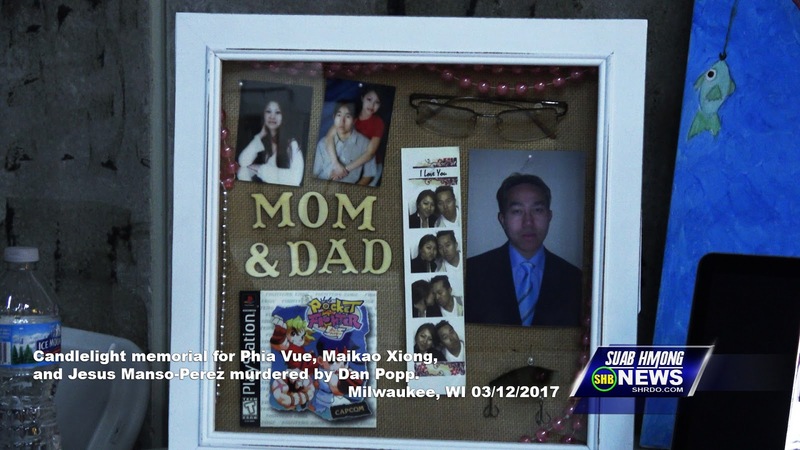 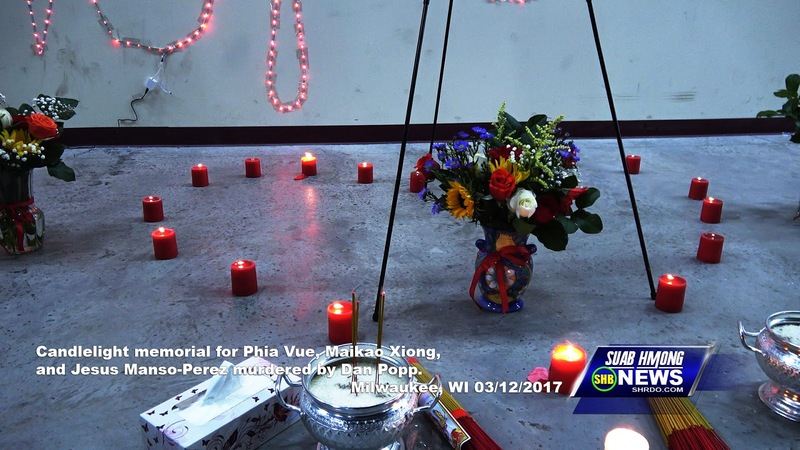 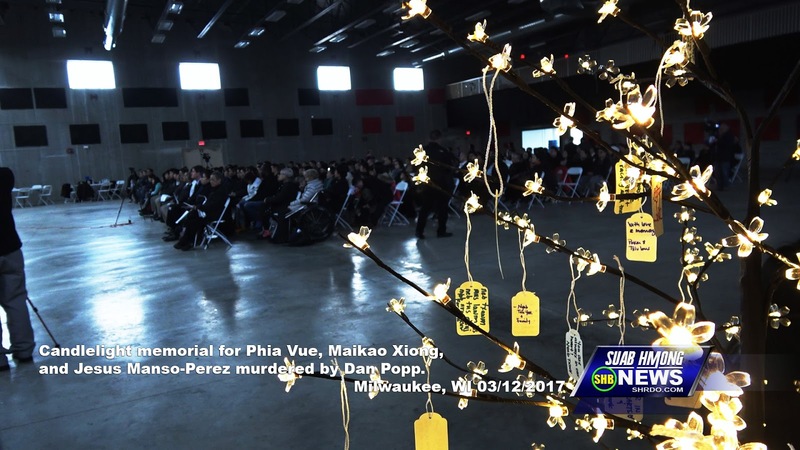 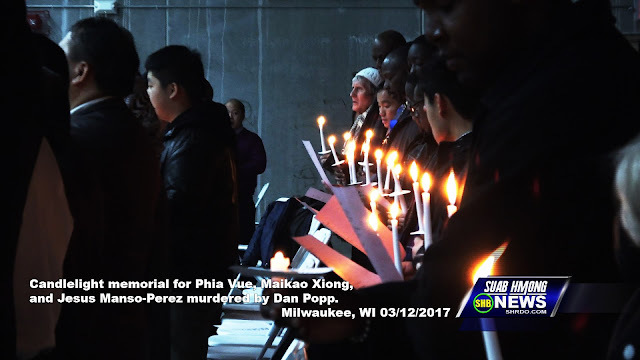 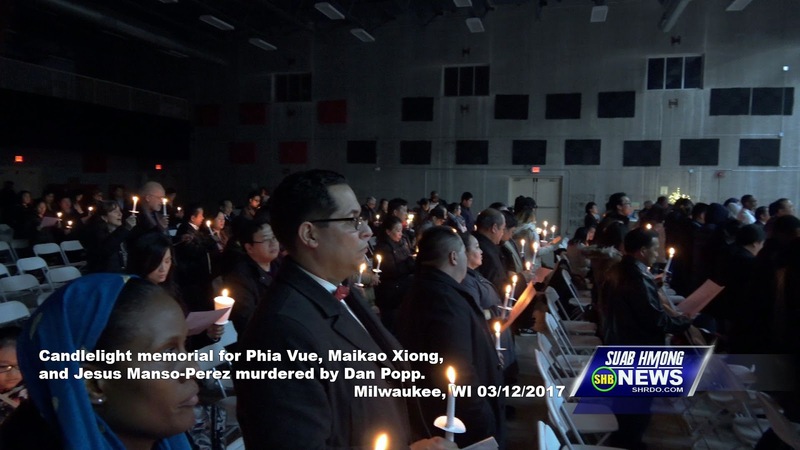 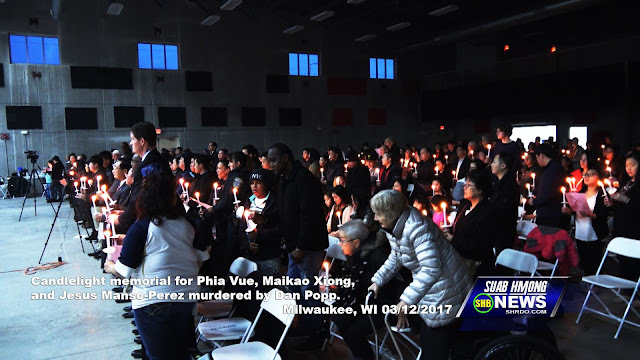 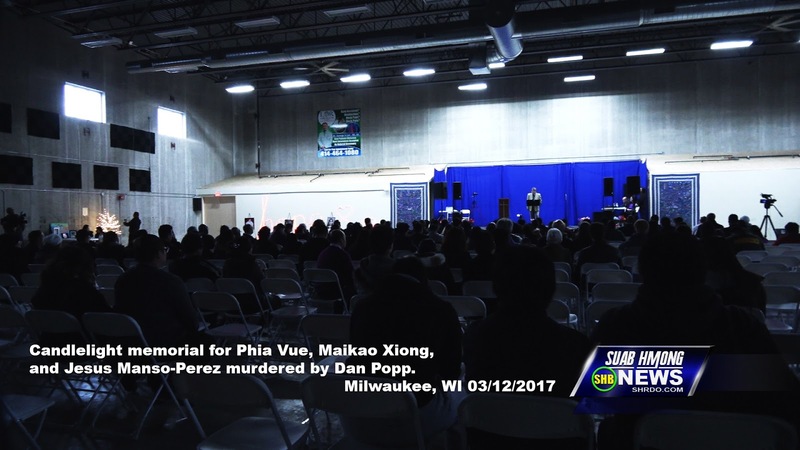 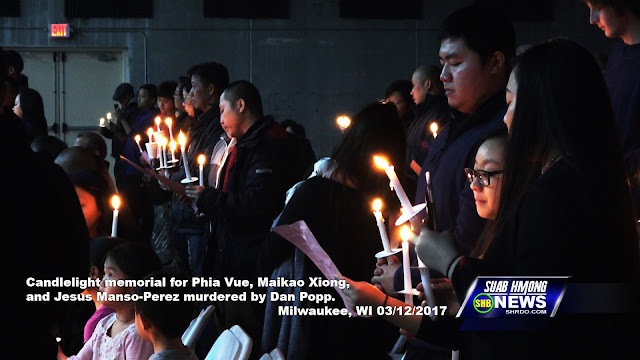 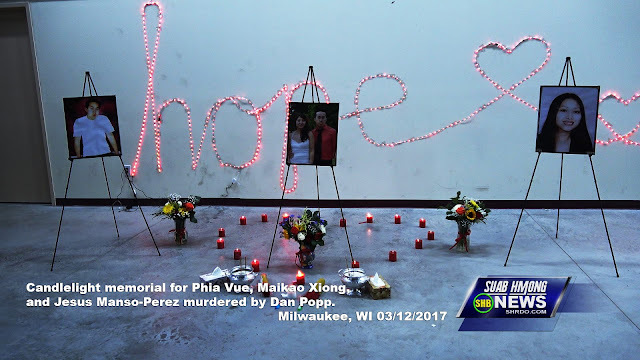 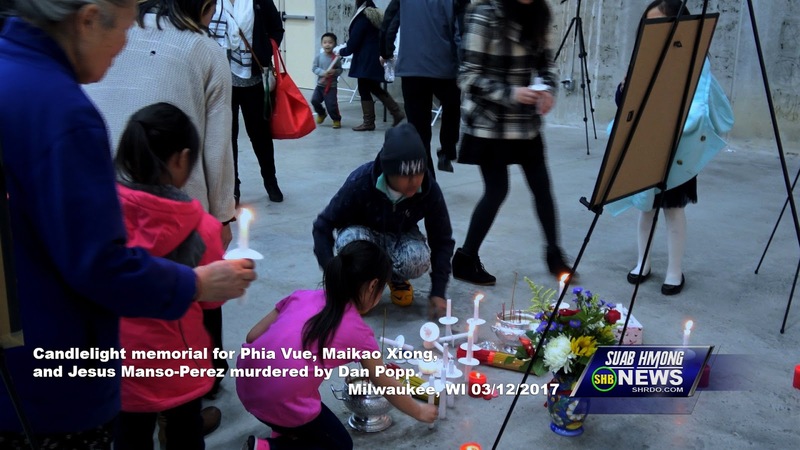 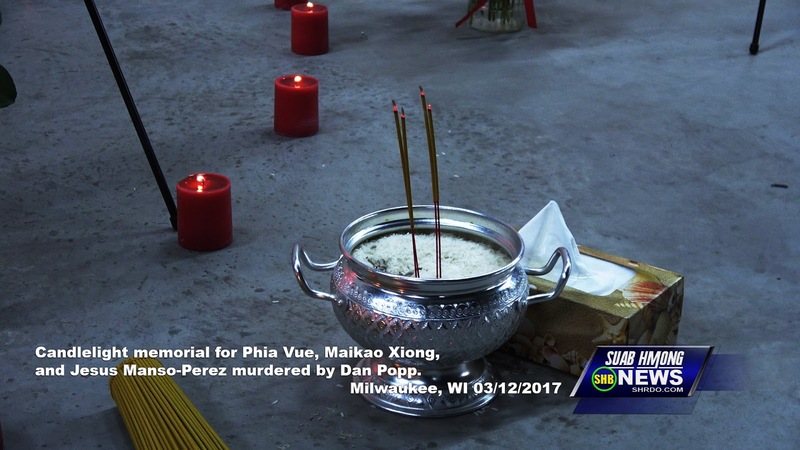 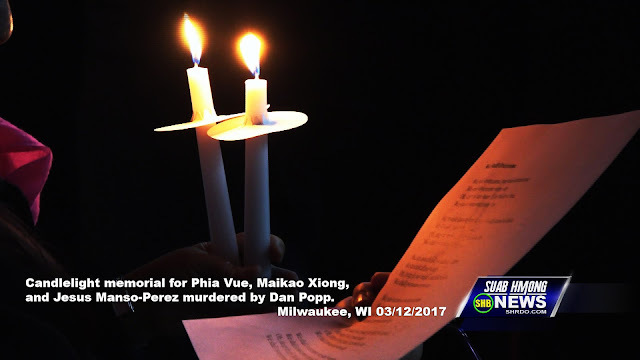 Candlelight Memorial for Phia Vue, Mai Kao Xiong, and Jesus Manso-Perez killed by Dan Popp held in Milwaukee, WI on March 12, 2017. 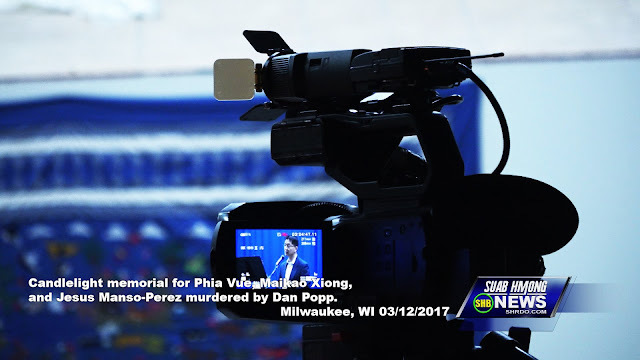 Photos taken from Video coverage by Richard Wanglue Vang. Taws tswm ciab ua kev nco txog Phiab Vwj, Maikos Xyooj, thiab Jesus Manso-Perez raug tua los ntawm Dan Popp yog ib tug txiv neej meskas dawb rau xyoo 2016. Lub koob tsheej tswm ciab no yog tshwm sim nyob rau nroog Milwaukee, WIsconsin rau lub 3/12/2016.